It's almost spring and your lawns, shrubbery and assorted landscaping are probably badly in need of care. And this means yard waste removal and trash hauling. For many people, the arrival of spring is a wonderful time to get out and enjoy their gardens, spruce up their landscaping, or simply clean their property. Which usually means that they have sufficient disposal space in their municipal waste and recycling bins. After the lengthy rains this year, especially in California, many people are faced with a much larger cleaning and disposal task than in previous years. Yards have gotten overgrown, landscaping out of control, and - for many - branches and other debris have accumulated over the course of a number of storms. The little green bin on the curb isn't going to be enough. There are other ways of getting rid of it, however. For some - depending on where they live - burning is an option. However, even if it is allowed in your district, burning leaves and other loose yard waste presents hazards. And when the weather gets warmer and the dead yard debris gets dry, other hazards arise. For example, even if you do not plan to burn your yard waste, it can still become a fire hazard. For example, the leaves piled up around your home can become a dangerous fuel source on their own. According to the University of California Berkeley’s Division of Agriculture and Natural Resources, you should move these combustibles to a distance of at least 30 feet from your house, garage, and other outbuildings. In addition, make sure they are clear of any propane or other fuel tanks. In addition to being unsightly, broken branches and other large debris can become a safety hazard. 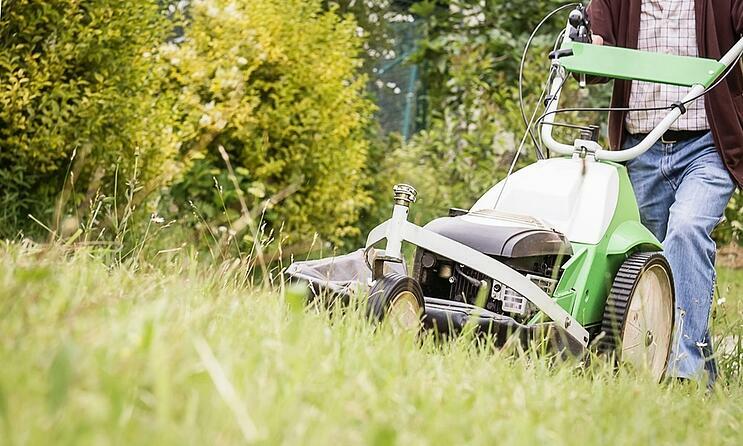 The problem for many homeowners is the need to haul the accumulated lawn clippings, shrubbery trimmings, and assorted branches and other debris. Unless you have a truck, or can borrow or rent one, the family SUV may not work out for you. Not to mention the work and multiple trips to the local landfill and green waste recycling centers. Yard waste can come in many forms. The recent storms left huge tree branches strewn across yards. Starting your spring gardening or landscaping project can leave dirt and debris everywhere. And since it is going to be spring soon, Spring Cleaning means you will want to get rid of that bunch of junk and clutter in your yard that you haven’t had time to clean up until now. You can get professional help with your large yard waste removal project. This can be done in two ways: with a self-service dumpster rental, or with full service junk removal. A rented dumpster allows you the flexibility of loading at your convenience and having a central place to stage and toss your yard waste and other debris. Once you're done it will be picked up and hauled off for you. With the Mini-dumpster option from Junk King you have access to a much smaller and more convenient dumpster. It doesn't present an eye-sore for you and your neighbors, and takes up far less space at your curb or on your driveway. The full service junk removal option gives you the ultimate in convenience and peace of mind. 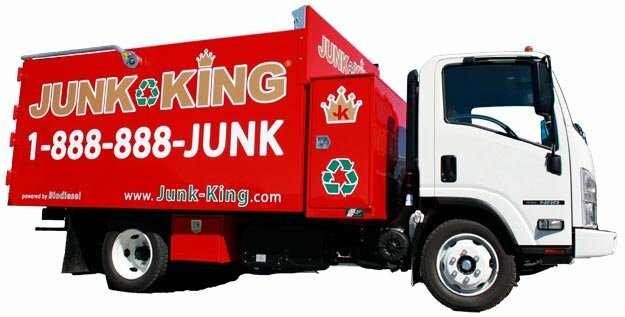 And Junk King is the firm of choice when it comes to junk and debris removal. Junk King provides an efficient, safe and eco-friendly yard waste removal service so you don’t need to worry about the pick up or disposal of your yard debris. Our experienced debris removal team will break down and haul off any types of yard waste you have. Unlike the backseat of your car, our junk removal trucks are made to handle those dirty yard debris items. Yard waste can come in many forms. Did you have a recent storm that left huge tree branches strewn across your yard? Have you recently undertaken a gardening or landscaping project that’s left dirt and debris everywhere? Do you simply have a bunch of junk and clutter in your yard that you haven’t had time to clean up? Ready to get rid of your yard waste? It’s as simple as 1, 2, 3. You make an appointment by booking online above or by calling 1.888.888.JUNK (5865). Our professional and insured yard waste removal team will show up at your home or office; we call 15 minutes before we arrive on site and we’ll give you a free estimate based on how much room your junk takes up in our truck. You point and we haul the debris into our junk removal trucks, with no hidden fees.